Why Do We Mourn for Celebrities? 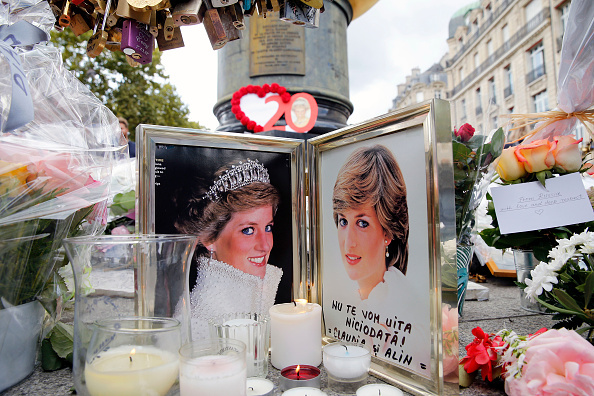 On August 31, 1997, my mother awoke to the news of Princess Diana's death, as did the rest of the world. I remember watching her clip a news article about the princess out of the newspaper and solemnly tuck it into the drawer that also stored the obituary clipping of my dead grandpa. "There are some things you just keep to remember," was all she said, wiping away tears. It baffled me that some faraway princess would deserve a place in the family's obituary drawer when we didn't even know her. She was rocked by the death of Princess Diana for some time, and tabloids in the supermarket checkout line told me other people were too. But why? And is it really grief, or something else? When you look back on history, some deaths stand out as universally sad. Some notable people manage to touch on the heartstrings of the public in such a way, that their deaths create a ripple of news that shocks and saddens millions. For most, the news of a death such is weighty for a day or two, but has no real lasting impact. But for some, the news of a notable death can trigger a kind of grief that is difficult to explain. Another tragic death occurred on November 22, 1963, when President John F. Kennedy was shot while traveling in his motorcade. The assassination of the sitting president, caught on camera, touched the nation, and the world. Kennedy had made the issue of racial equality about morality, and was finally leading America toward civil rights. He was a young and popular president, who'd come to represent political optimism. His assassination brought a sense of chaos and danger to the political climate, and represented a shift in America. People still mourn for this death, even though it has been over half a century since the President's untimely demise. Not all celebrity deaths are culturally iconic. Each year, a handful of music legends or Hollywood greats pass away, leaving fans in a state of strange mourning. These deaths, though widely reported and mourned, may not be watershed moments in history. However, the loss of certain individuals are affecting for whole communities. In August of 2018, Aretha Franklin passed away. Though most of her fans never met the Queen of Soul in person, there was an outpouring of grief for the legendary singer of hits like "Respect," and (You Make Me Feel Like) A Natural Woman." For those whom her music affected personally, the death was a real reason to grieve. Music, art and shows are deeply emotional. For some, recalling something that was moving, or moving at a time of heightened emotion, can bring them right back to that time, place or feeling. Losing icons like Aretha Franklin, David Bowie and Prince generates grief for those who attached meaning or memories to their music. The death of well known actors, like Burt Reynolds and Carrie Fisher, tend to evoke emotion for fans. On June 25, 2009, Michael Jackson's death dominated the news cycle when the King of Pop overdosed on prescription medications. In this unexpected loss, I found myself relating to my mother's Princess Di reaction. Though the star led a troubled life, the music of the Jackson 5 was the soundtrack of my adolescence. His death also came on my birthday, and like my mother, I tearfully clipped the story from the newspaper. But why? How can people mourn for strangers? The mark of a good artist is the ability to tap into strong emotions in those who consume their work. Beloved heroes, whether they be a politician, actor, musician, activist, business person, chef, academic or religious figure, reach people in unique and moving ways. Their deaths also represent the end of what they create, stand for or inspire in others. And that is what is mourned when a beloved, high-profile person passes away. What celebrity death affected you the most? Let us know in the comments! After creating an online memorial, you can also publish in print in any of over 6,000 newspapers across North America. A lifetime of stories, memories and love.